Black Jersey case, cabinet style with removable frame. Easily hangs on any wall for beautiful display. 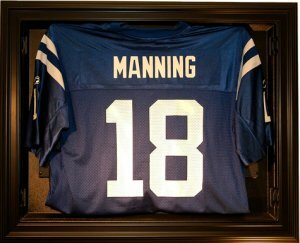 An awesome way to display your full size football, basketball, baseball, hockey or any other jersey. note: jerseys sold separately!